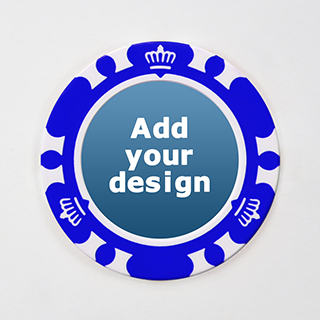 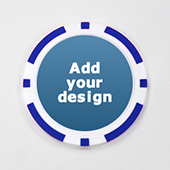 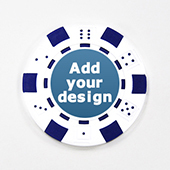 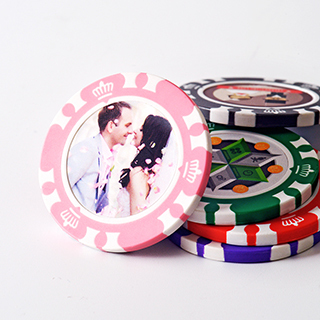 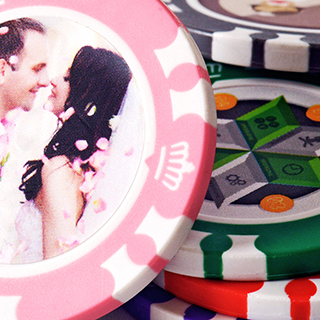 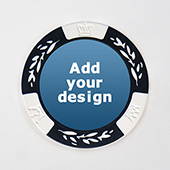 Custom label for this 40 mm diameter two-tone royal blue casino chip made from clay compsite material over a metal inset for added weight and make it sound like a real casino chip. 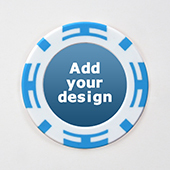 Create printed labeling on both sides. 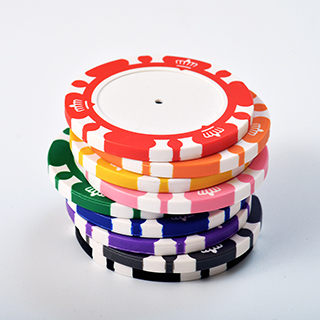 Greate for corporate giveaway or promotional gift with company logo and name on it.